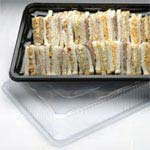 The bases and lids together are 71mm high with a 225 x 155mm internal space for sandqiches, baguettes, sushi, cakes ect. 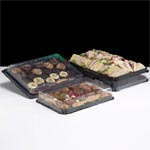 They are also stackable and have a firm clip closure that is ideal for transportion to parties/meetings/entertaining. 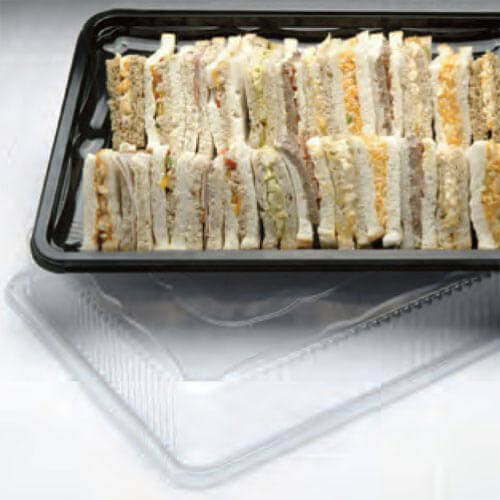 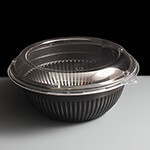 Feedback for Mini Prestige Black Sandwich Platter Base & Lid: Box of 50 has been compiled from 1 reviews.